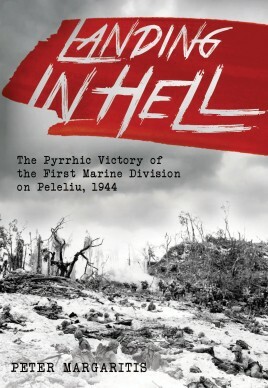 An exploration of the actions and fate of the First Marine Division during the invasion of the Pacific island of Peleliu in September 1944. On September 15, 1944, the United States, in its effort to defeat the Japanese Empire, invaded a tiny island named Peleliu, located at the southern end of the Palau Islands. This island chain lay in the main line of the American advance eastward. The Pacific High Command saw the conquering of this chain as a necessary prelude to General Douglas MacArthur's long-awaited liberation of the Philippines. Of all the Palaus, Peleliu, the second southernmost, was the most strategically valuable. It boasted a large flat airfield located on a relatively low plain at its southern end. If it was taken, it could be used as a major airbase from which the Americans could mount a massive bomber campaign against the Philippines if needed, and eventually against Japanese home islands. Except for the airfield, Peleliu was a typical humid tropical island, covered by dense jungle and swamps, with many coconut, mango, and palm tree groves. The main amphibious assault was to be made by the famed First Marine Division under the command of Major General William Rupertus. The Pacific High Command was confident that victory would be theirs in just a few days, convinced that the Japanese defending the island were relatively weak and underprepared. They were drastically wrong. The Peleliu campaign took two and a half months of hard bitter fighting, and just a week after landing, having sustained terrific losses in fierce combat, Chesty Puller’s 1st Marine Regiment was withdrawn. The entire division would be out of action for six months, with the three rifle regiments averaging over 50% casualties - the highest unit losses in Marine Corps history. This book analyzes in detail the many things that went wrong to make these casualties so excessive, and in doing so, corrects several earlier accounts of the campaign. It includes a comprehensive account of the presidential summit that determined the operation, details of how new weapons were deployed, a new enemy strategy, and command failure in what became the most controversial amphibious operation in the Pacific during WWII. Peter Margaritis minored in History at Ohio State University. A retired chief petty officer, he has an extensive military background in communications and naval intelligence. 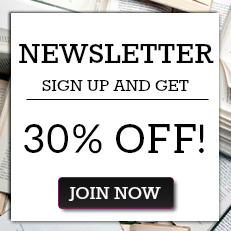 He now writes and lectures on military history. He has written many technical manuals and guides as a civilian, dozens of reports in the military, and several articles on World War II and the Civil War. He is the co-author (with George Peto) of 22 on Peleliu (Casemate 2017) and has also written several short books on the European theater.